DeWanna Bonner is ready to be ‘DB’ again. The Phoenix Mercury forward whose contributions as a role player led her to three-consecutive Sixth Woman of the Year Awards to begin her career, has spent the past year in her new role as the mother of twins. 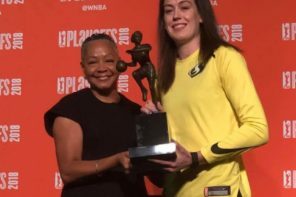 After sitting out the 2017 WNBA campaign, the 6-foot-4 Bonner is re-establishing herself as one of the top players in the league during this young season. 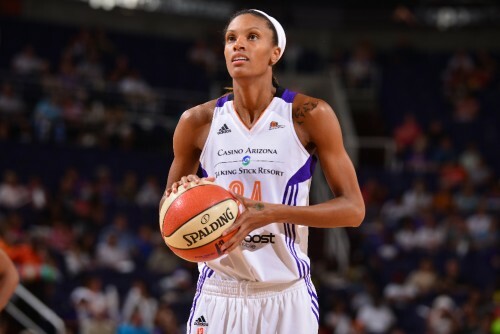 Through five games this season, Bonner is third on the Mercury in scoring, behind Brittney Griner and Diana Taurasi, with 11.5 points per game. She leads the team with 7.3 rebounds per game and is second to Taurasi with 3.8 assists. 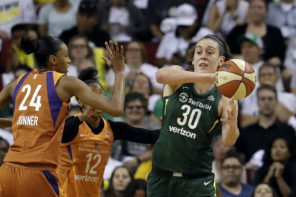 The 30-year-old Bonner and her wife, Indiana Fever forward Candice Dupree, welcomed newborn girls Cali and Demi into the world last July, igniting a wave of support from the basketball community. 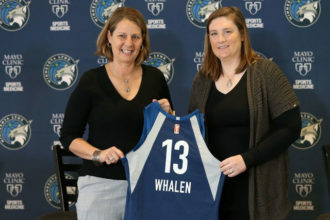 Bonner has spent her entire WNBA career in Phoenix, after being drafted out of Auburn in 2009. 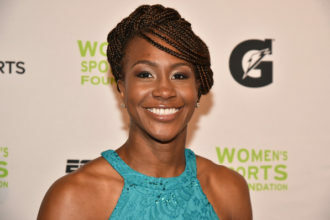 The 2015 first-team All-WNBA selection said the biggest obstacle of parenting is making sure she has enough rest. Obviously, with Bonner and Dupree playing on opposite sides of the country, the situation becomes challenging. The support of a nanny is pivotal right now. It didn’t take long for Cali and Demi to get their passports stamped. Before she suited up with the Mercury this year, Bonner began her comeback with the Czech team USK Praha, averaging about 13 points per game. She said the babies were there for three months under the watch of Dupree, who did not play internationally this winter. Bonner added that a real joy is that her babies can’t tell the difference whether she played brilliantly or poorly at the end of the day. They don’t see DeWanna or Candice the superstar professional athletes, all they see are moms.